We hope you had a wonderful Easter weekend. If you happened to serve a holiday ham, you are going to love this delicious left-over recipe. 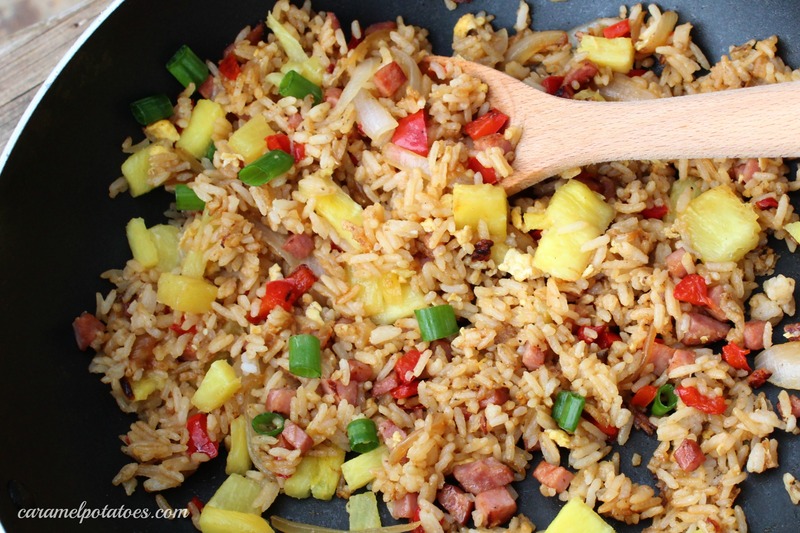 This Hawaiian Fried Rice combines the great sweet and salty combination of ham and pineapple with ginger, garlic, soy sauce and Sriracha to make a wonderful and light supper you can enjoy all summer long. 1. Combine soy sauce, sesame oil, and Sriracha in bowl and set aside. Heat 1 tablespoon peanut oil in 12-inch nonstick skillet over medium-high heat until just smoking. Add ham, bell pepper, scallion whites, and onion and cook, stirring occasionally, until lightly browned, 7 to 9 minutes. Stir in garlic and ginger and cook until fragrant, about 30 seconds. Transfer to plate. 2. Heat 1 tablespoon peanut oil in now-empty skillet over medium-high heat until shimmering. Add rice and cook, breaking up clumps with spoon, until heated through, about 3 minutes. 3. Push rice to 1 side of skillet; add remaining 1 teaspoon peanut oil to empty side of skillet. Add eggs to oiled side of skillet and cook, stirring, until set, about 30 seconds. Stir eggs and ham mixture into rice. Stir soy sauce mixture into rice until thoroughly combined. Off heat, stir in pineapple and scallion greens. Serve. Thanks Mary Beth – hope you get a chance to make it! 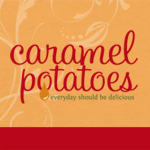 Let us know how you like it! 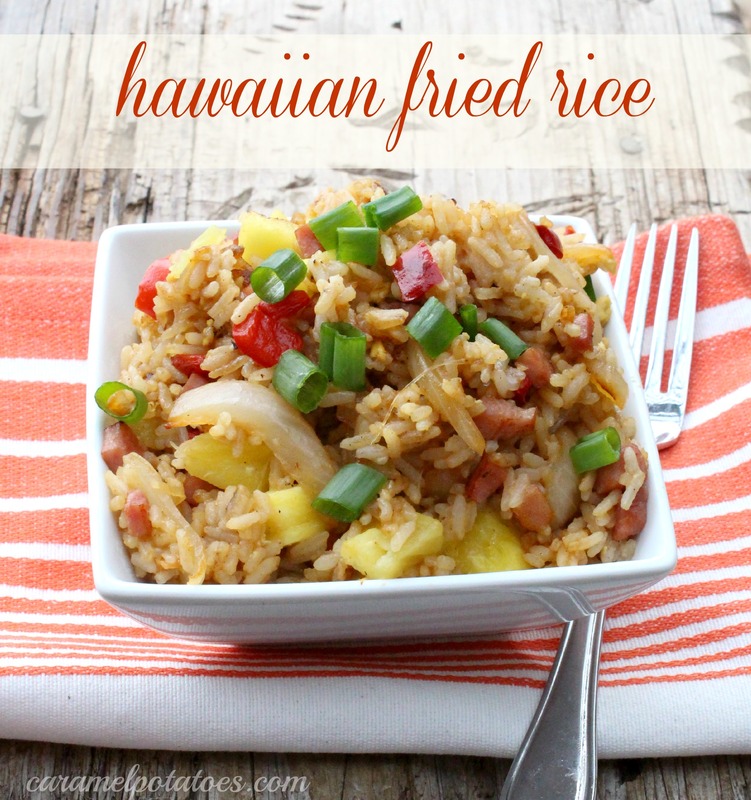 This looks good – I really like fried rice and the pineapple and ham sound like a good fit!